*I received these items complimentary for testing purposes; all thoughts and feelings are my own. Tomorrow, October 15th, is Global Handwashing Day. Hygiene and preventing illness is an incredibly important cause to get behind and I am proud to be teaming up once again with Soapbox Soaps. Bringing awareness about this special day. Almost half of the 5.9 million deaths of children under the age of five in 2015 were caused by infectious diseases and conditions. Up to 21-23% of those deaths could have been prevented by simply washing hands. Soapbox Soaps is a great mission-minded company that serves to help communities all over the world get soap if they need it. 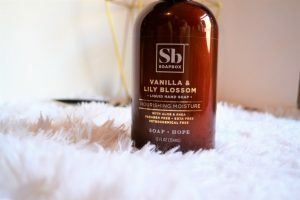 If you remember my review of Soapbox Soap products, they are a humanitarian company that gives a bar of soap to someone in need for every product purchased from their company. Their soaps are natural and thoughtfully crafted for the best possible outcome. 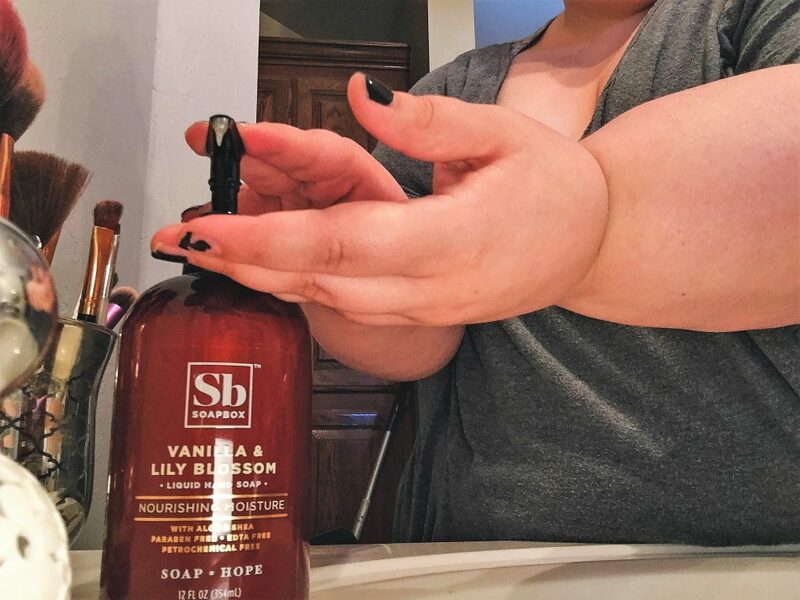 Some of my favorite products that they sent me are their Citrus & Peach Rose Bar ($4.29) and the Vanilla and Lily Blossom Liquid Soap ($4.29) The soaps are full of good, natural ingredients and make my skin feel moisturized and clean. For each item that you buy, they will give a bar of soap to a person in need. All of their bars and hand soaps have incredible ingredient and smells. Even you can make a difference and take part in Global Handwashing Day! Soap is vital to proper handwashing; unfortunately many people don’t have access to soap or clean water to properly wash their hands. Sadly this allows disease and other things run rampant. Many people also do not realize the great impact just washing your hands with soap can do! Global Handwashing Day allows many people to be educated about how life-saving and simple washing your hands can be. This special day brings awareness to such a simple daily activity. Furthermore, the day shows people how to build sinks and other handwashing stations. Soapbox Soaps help to get a bar of soap in every persons hand. This is vital to allowing Global Handwashing Day to be effective. 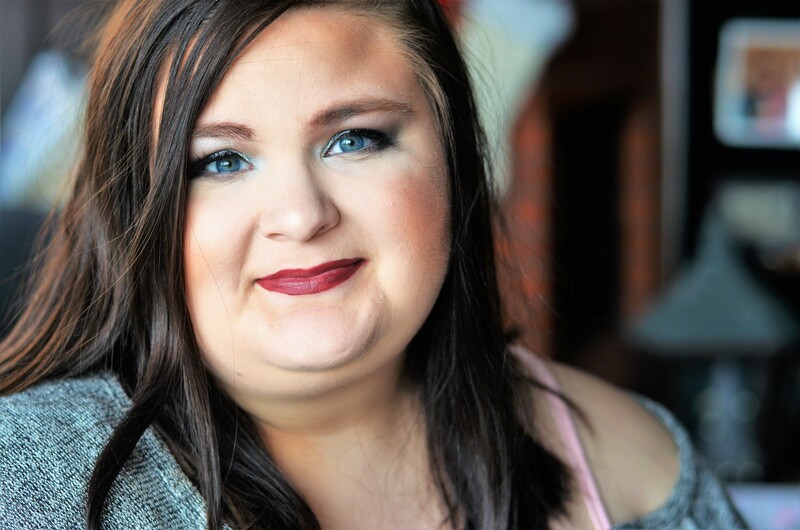 I am so honored to be working with Soapbox Soaps to help get soaps to everyone across the world. Just by purchasing one of their incredible products, you’ll be participating and taking part in this years Global Handwashing Day! 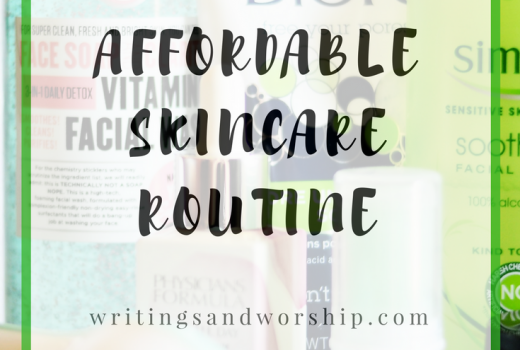 In honor of such a momentous day tomorrow, Soapbox Soaps is offering my readers 10% off their order, which will run until 11/5. Use the Code GHD17hilary for 10% off your order! If you want to be a part of this global humanitarian effort, go pick you up a few bars or liquid soaps from Soapbox Soaps. Be sure to use the hashtags #soapboxsoaps #glowbalhandwashingday #soapequalshope to take part in this years Global Handwashing Day. Love this! I’ve found young ladies especially are much more likely to wash their hands if they have a special product to do it with – makes them feel more grown up and girly I guess. Thank you for sharing! I’m all about washing hands. Our nanny actually just mentioned this morning, how she is so happy our boys always remember to wash their hands! And I’m even more on board for a product that helps others! 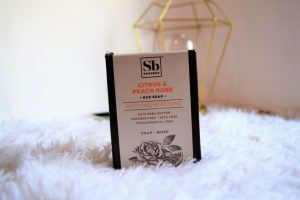 I can’t wait to try out that peach & citrus bar! Global handwashing day? Who knew! This needs to be celebrated in elementary schools from coast to coast!!!! 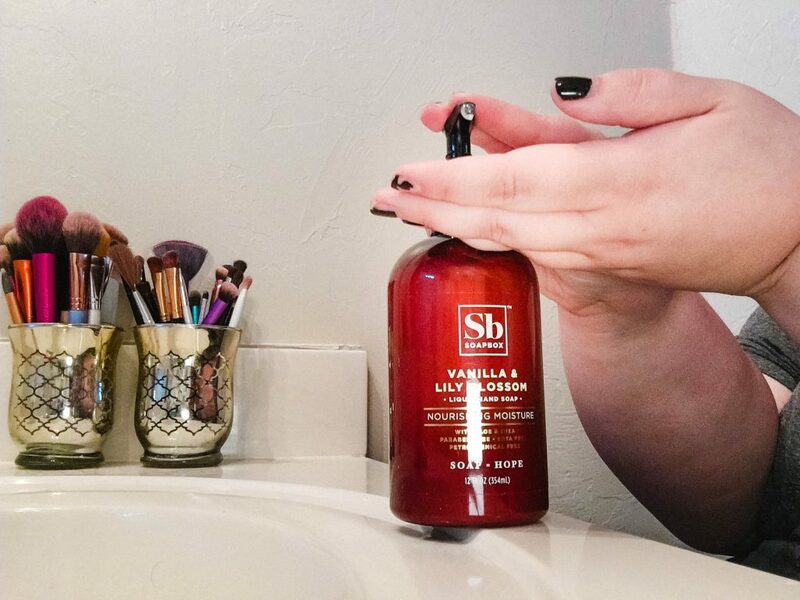 Your scents sound so good, vanilla + lily blossom=swoon! I had no idea there was a Global Hand washing day or how many children are affected by infectious disease that can easily be avoided by hygiene! Thank you for the information and the code! Crazy how something as simple as hand washing can make such a huge impact! Just like the impact social enterprises like Soapbox make! Always love hearing about companies that make a difference with every purchase, I’ll have to check them out! I was thinking the same thing. These kinds of companies are ones I love to support and highlight! And their products are truly amazing! I totally agree! 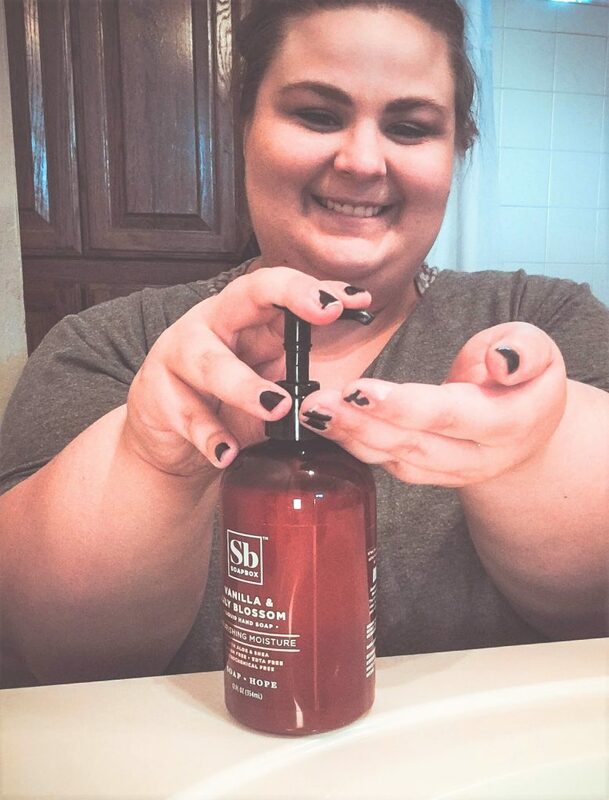 I definitely spend more time washing my hands properly when I love the product! Global hand washing day! Wow! I love washing my hands with a lush great smelling soap! I guess I need to add this one to the list! Nothing is better then having a fresh soap to wash you hands with (especially in the AM)…I just feel so fresh afterwards! Im definitely a fan of national hand washing day! I was just thinking I wanted to invest into some nicer hand soap. I will have to check this out! Sounds lovely. That soap looks yummy! I worked infection control at a hospital and it’s absolutely vital, especially this time of year. Wow, I had no idea there was a global hand washing day! Nor did I know those stats about infectious diseases! I am very cautious of always washing my hands but my 12 yr old son is not, it’s a constant battle! I will definitely take a look at the soapbox products, can never have to much soap! !